Mutants of every shape, size and level of power imaginable have passed through the hallowed halls of Xavier’s Institute. Or tried to burn it to the ground. We’ve seen over 60 mutants in the X-Men film franchise already. Who can possibly be left?! 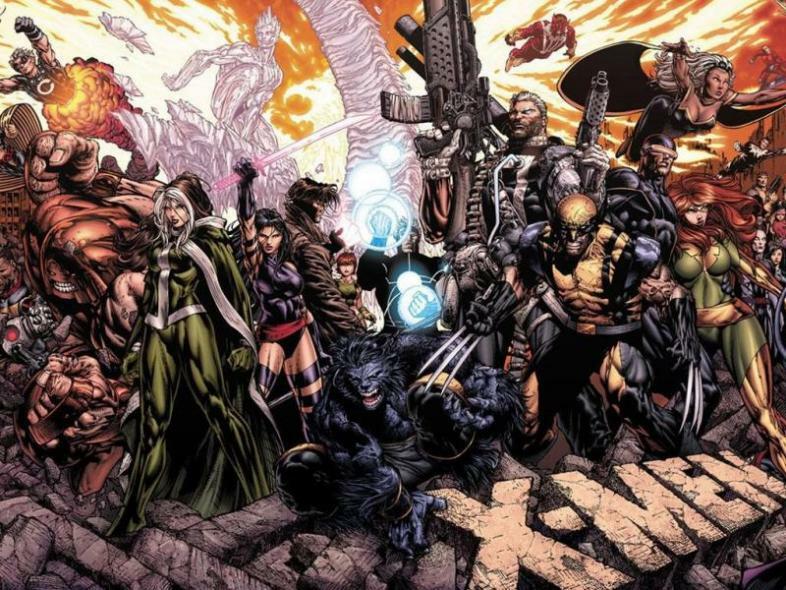 As well as the X-Men themselves, Marvel’s mutants have spun off into an array of splinter groups and comic titles over the years. Standouts include X-Force, a mutant black-ops strike team; X-Factor, a team authorised by the government as opposed to acting outside it; Excalibur and Alpha Flight, the British and Canadian satellite teams respectively; as well as Generation X and the New Mutants, teenage mutants on the rise. This has created a breeding ground of near countless mutants across the globe and throughout time. ‘Logan’ will mark the 10th FOX film with direct or indirect connection to the X-Men mythos, and they’ve covered a fair bit of ground. There’s plenty of untapped potential left though! Magma can heal knife-wounds by turning her body to fire and cauterizing the gash. Amara Aquilla a.k.a. ‘Magma’ can produce lava at will, as you would expect. In a rebooted X-Men, a fling between Amara and Iceman seems obvious, perhaps reworking elements of the Iceman/Rogue flirtation in ‘X-Men’ and ‘X2’ where physical contact proves impossible. Equally, much like Iceman and Pyro in ‘X2’ and ‘X-Men: The Last Stand’, they make easy rivals too, either in respectful competition, or genuine conflict. What’s more interesting about Amara, is the fact she comes from a secret splinter colony of ancient Romans. Hidden from the world in Brazil, and ruled by a 17,000-year-old mutant sorceress, they have quietly existed since the assassination of Caesar. The Amazon rainforest is a stunning back-drop for any movie, and the sorceress – Selene – with a birthdate way back before anything resembling civilization, could blow the lacklustre Apocalypse’s (of ‘X-Men: Apocalypse’) immortality angle out of the water. 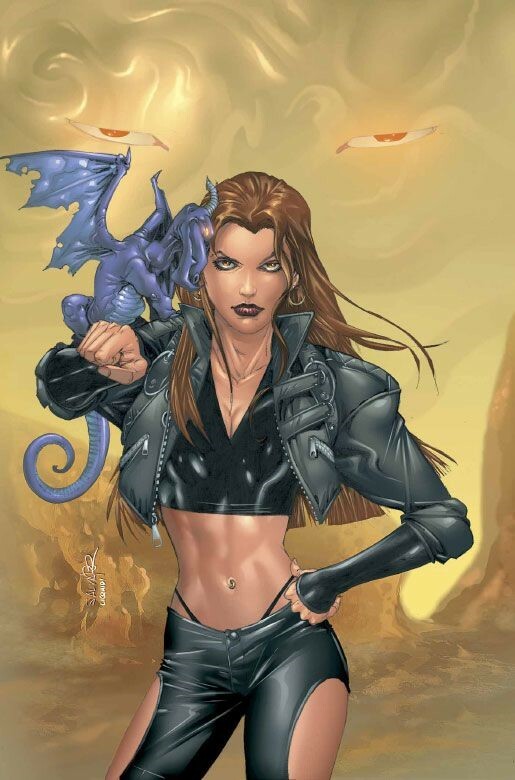 With Chloe Grace Moretz as Magma, and Eva Green as Selene, what I’m calling ‘X-Men: Epoch’ sounds worth watching already, without even factoring in the rest of the squad. They both lost their extraordinary abilities following ‘M-Day’, when Scarlet Witch stripped nearly all mutants of their powers. Originally part of the sewer-dwelling mutant outfit the Morlocks, feline sister act Feral and Thornn’s appearance is tried and tested in the costume and make-up department. 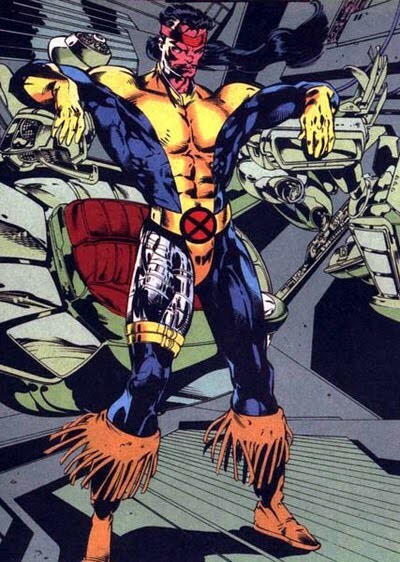 Known for their interactions with Cable and X-Force; either a bitchy and sarcastic, or savage animalistic adaptation of Feral and Thornn could compliment the permanent, visible mutation of Colossus down the line in the Deadpool franchise, once Cable is involved. From a darker angle, Feral is alleged to have killed several members of her own family, and both her and Thorn were molested by a coke-addled stepfather, so plenty of bleak material there to use sympathetically, or as origin of criminal psyche. Real-life sisters Kate and Rooney Mara could sharpen their claws here, in characters that would blend easily with Sabretooth, either at his side, or in very claw-oriented combat. Like all good dragons, Lockheed can breathe fire too. Lockheed is a multi-lingual dimension-travelling alien dragon. That should probably suffice for a movie appearance really. Most frequently the companion of Kitty ‘Shadowcat’ Pryde, Lockheed seems like an obvious merchandise gravy train. If designed in a Pixar-cute style, Lockheed could serve as an E.T.-esque companion for a young Kitty, or a more pet-like devotee of a grown, no-nonsense Shadowcat. In a more serious context, Lockheed has been outed as a spy-in-the-camp before, his understanding of various galactic languages kept secret. This makes him versatile as an agent or double agent, as well as serving as translator and encyclopaedia, like a flying, purple Bat-Computer. He’s also been known to associate with our next contender. 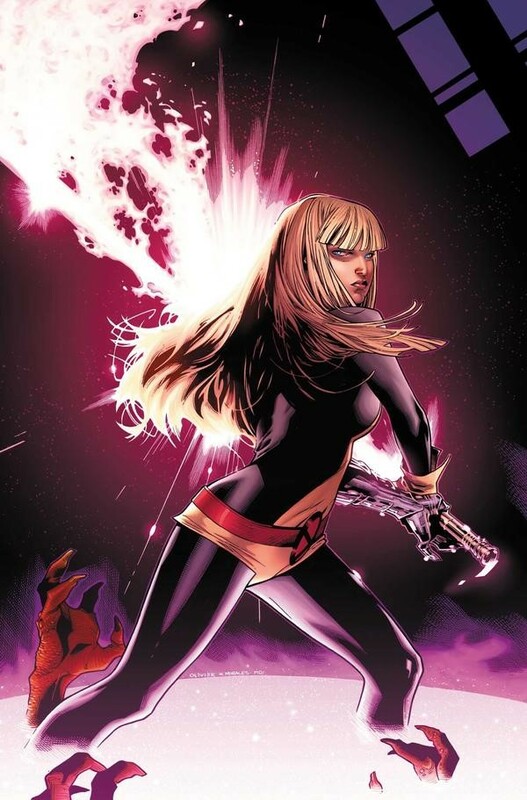 Magik can also use telepathic blocks to prevent even Xavier from reading her mind. 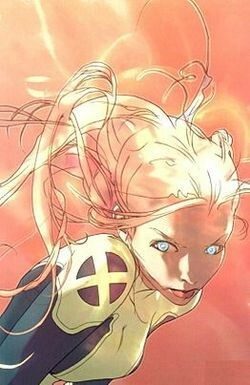 Illyana Rasputina, sister of Colossus, has been around since 1975, and as the sibling of an existing character in a recent blockbuster, she’s got a very easy in. It wasn’t until 1983 that she really took off as ‘Magik’, but traversing dimensions with teleportation discs, and brandishing her Soulsword, Magik is highly powerful, after spending a period in ‘Limbo’. Whether it’s only spoken about in the past tense, or physically visited, perhaps to retrieve Magik, the whole idea of ‘Limbo’ seems like something Deadpool could comfortably scoff at. A hulking, shiny man being reasonably difficult to age, the casting range for Magik is quite broad, but Mila Kunis’ work on ‘Family Guy’ and ‘Ted’ over the years shows she has the humour to hold her own in a ‘Deadpool’ flick. Plus…it’s Mila Kunis. His name appears on a huge list of mutants on Stryker’s screen in ‘X2’. Around since 1966. The first X-Man to not be a mutant. The first X-Man to join the starting line-up. One-time Deputy Leader of the X-Men. The ability to absorb, varyingly, the superpowers and/or lives, of those around him. I guess Mimic’s problem is it’s hard to make any individual character look strong, or special, if there’s a guy that can do it all, and then some, with ease. That’s why a film featuring Calvin ‘Mimic’ Rankin needs to be about Mimic either losing his powers, and the team’s quest to help him regain them. Or – Mimic’s the villain. One thing the X-Men movies have never really done is pit the entire team against one extremely powerful opponent. Whether it’s the Brotherhood, the Hellfire Club, or Apocalypse’s Horsemen, the X-Men have never really had a Doomsday-type. Apocalypse should have been that, but wasn’t. Mimic could be. I envision a quite regular sized man, stood opposite an army of mutants in a field. 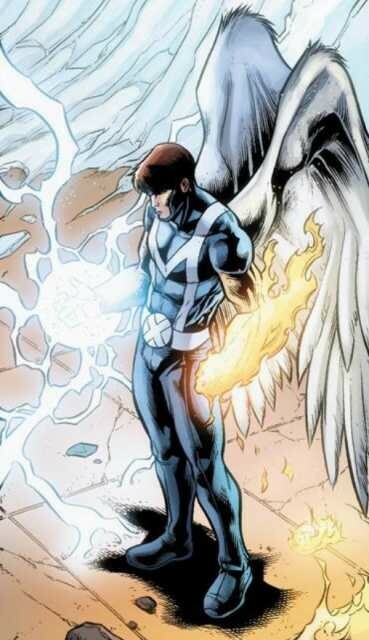 Atmospheric music kicks in as blades shoot out of his hands, he grows to the size of Colossus, sprouts angel-wings, turns to ice, then rises in the air like Phoenix, before obliterating the entire battlefield with Cyclops-eye-lasers. Dave Franco projects the right mix of arrogance and boyish charm to be a determined, vindictive Mimic, while maybe redeeming himself by becoming a member of the Academy once he’s been foiled. 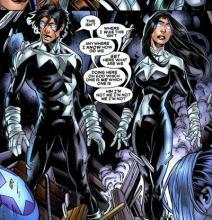 Sage also used the alias Diana Fox while working with the British X-team - Excalibur. Sage a.k.a. Tessa is a slight point of contention for the die-hard X-Men fanbase. She made her first appearance 17 years after the X-Men were first published but was written in to have been one of the first X-Men, arguably the first. 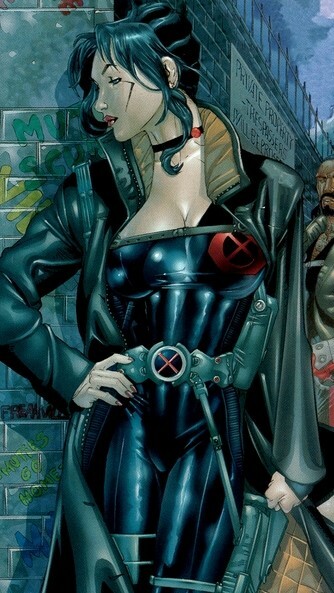 She discovered an injured Professor Xavier in a cave and helped him out, but was sent undercover with the Hellfire Club, and never mentioned to the team. Whether you like established canon being rewritten or not, this does make for an interesting film plot that could be tied back into the events of ‘X-Men: First Class’ as a co-running plot that was kept hidden at the time. Angelina Jolie seems like a dream candidate. Someone who can be stealthy and athletic, while coming off mature and discreet, accentuating the decades old, but deadly secret, friendship with Charles. When joining hands, the pair can produce a blinding light, but they have little control over how strong it is. This twin brother and sister duo can run, fly, punch and most everything else at extreme speed. 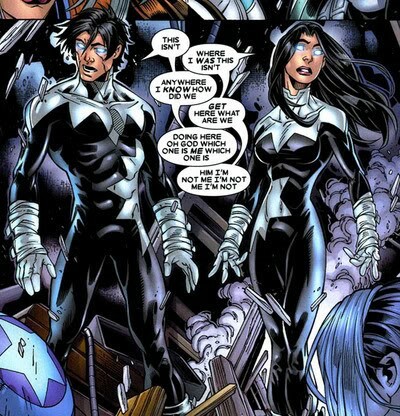 As well as badass powers, Northstar is one of the first openly gay characters in comic history, Aurora has an ongoing dual personality disorder, and they were separated after their parents died in a car crash. These themes were commendably approached back in 1979 when the pair made their debut in the inaugural ‘Alpha Flight’. It makes for even more diverse and emotionally interesting characters today. While FOX have joint ownership of Magneto’s offspring, a film setting these two against Quicksilver and Scarlet Witch could be a moving, and multi-layered piece of filmmaking, with some chaotic destruction and magic too. Particularly if the car accident that killed Northstar and Aurora’s parents was caused by Magneto. Add a degree of empathy between the two sets of siblings, with Magneto forcing Quicksilver and Scarlet Witch into the attack, and things could get interesting. Josh Hutcherson (‘The Hunger Games’) and Abigail Breslin (‘Scream Queens’) spring to mind. Vulcan is one of only eleven ‘Omega-level’ mutants, a group including Jean ‘Phoenix’ Grey. However, he has been described as beyond that level. Gabriel Summers, younger brother of Cyclops and Havok, is sure to hit the screen sometime. Only emerging in 2006, the youngest of the Summers boys has an axe to grind. Literally cut from his mother’s womb by an intergalactic majestor, Vulcan was aged artificially and sent back to Earth to toil as a slave. Eventually discovering the truth of his origins, he waged an interstellar war of vengeance. He can control and produce most forms of energy, direct them, and manipulate them. 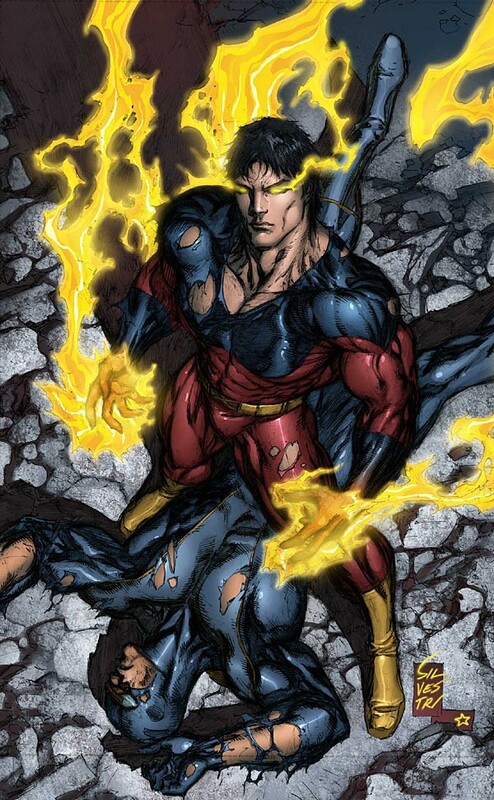 This makes him an ideal foil for a united Cyclops and Havok, rendering their beams of energy useless. ‘X-Men Origins: Cyclops and Havok’ quickly followed by ‘X-Men Origins: Vulcan’ could breathe some life back into the whole concept. Jesse Eisenberg could do DC/Marvel double-duty for this unwilfully estranged sibling. Forge turned down a job with S.H.I.E.L.D. to continue serving in the Vietnam war. The mechanical super-genius Forge has had romances with both Storm and Mystique. First rearing his oily head in 1984, Forge has a mutation that makes visualizing mechanical workings, and applying it to engineering and machinery, a cake-walk. As well as this handy ability, he happens to be a Cheyenne mystic, and ‘Nam veteran, who while on tour, summoned the souls of his slaughtered comrades to avenge their own deaths. It also brought a demon to Earth. So, the grizzled veteran atoning for a traumatic past bit is all there. Can see him saving a younger mutant’s life at the climax of a film, absolving himself in death. This has Danny Trejo written all over, though Wes Studi could be great, and has actual Native American descent. Polaris was given her name by Erik the Red, the same Shi’Ar alien who enslaved Vulcan. First appearing in 1968, if anyone can stop Magneto, his daughter can. Lorna Dane was the daughter of Magneto by an affair with a spoken-for lady, before he ever met the mother of Quicksilver and Scarlet Witch. Her parentage has been confirmed, unconfirmed and reconfirmed over the years, but as it stands, it’s official, she’s Erik’s. Her powers are magnet-based as well, potentially making for some great scenes of throwing aircraft and the like at each other. 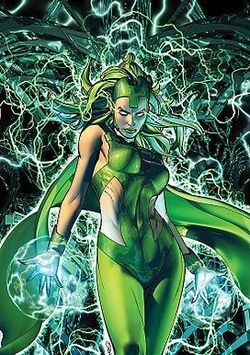 In the Northstar/Aurora vs. Scarlet Witch/Quicksilver idea I discussed earlier, Polaris would make an ideal secret weapon against Magneto’s puppet-mastery at the last minute. Cate Blanchett’s portrayal of Galadriel in ‘The Lord of the Rings’, particularly when confronted with the One Ring, could transfer easily to this role. Got better casting ideas? Think there’s some big-name mutants who’ve been undeservedly left on the shelf? Head over to the comments section and let us know!